Everyone wants to reap the most return from the time they invest into producing quality content. To achieve the best results, many business owners turn to professional SEO companies. These agencies can format material, insert SEO keywords, provide links and data analysis of web traffic as well as increase the overall productivity of your site. 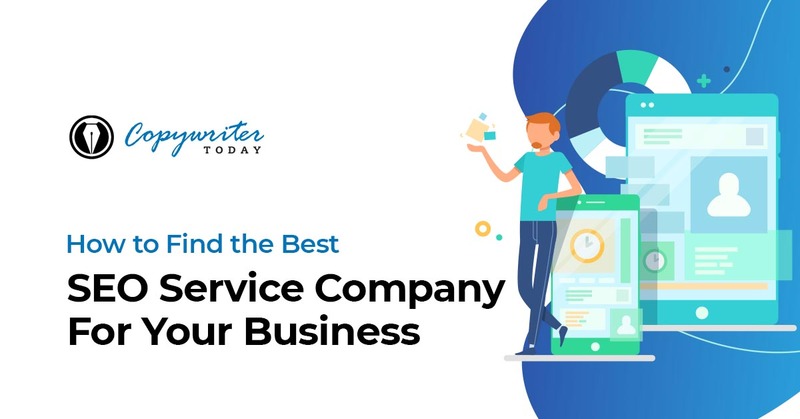 These are all important aspects of maintaining your business’s visibility, so it’s understandable why so many entrepreneurs outsource this task to organizations. The problem that occurs is, far too often, we do exactly what our clients do: we Google what we need and go with the first few results that come in. The results that come with this method aren’t always the best, as companies can pay to be listed on Top SEO providers lists, so you can’t be sure if the rating is genuine. When it’s something as important as internet visibility and gaining audiences, we can’t afford to do this when it comes to hiring an SEO company. According to Clutch.com, business owners have grown weary of trusting the internet for referrals, and 45 percent of business owners report relying on word of mouth when prospecting SEO services. The first place to look would likely be your business owner peers. Business owners need to know that the person they hire to manage their online marketing is qualified, professional and capable of doing the job. How do you, as an owner, vest the SEO companies that you interview for your services? While there are no guarantees, there are a few tips and tricks that can help you select the right company for the job. Almost any company can edit your content and add in keywords to help your SEO results. The problem with this method is if it doesn’t add to your content or help you sell, then it’s not going to gain any followers to your site. You want a truly professional service, and companies that have been in the business tend to offer other products as well. Pay-per-click, content marketing, social media campaigns and email marketing should all be offered. The point is that you’re not just searching for a company to help input SEO terms, you’re hiring a professional marketing company. Ideally, these companies should have a specialty that closely matches your goals. According to Forbes, specialty is one of the four key components of picking a good SEO company. The other three are past performance, attributes and value. Do you have a time limit for achieving these goals? What is their proposed strategy to help you achieve your goals? Can they show their past performance statistics? How are their services priced, are there additional fees, and do they promise any range of return? A good company will operate on a basis of transparency to their clients. If an SEO provider can’t supply data reports, statistical analysis of your site, and performance reports, then they aren’t truly interested in the whole management of your content. As we’ve discussed, truly increasing your audience requires more than simple keywords. There are some SEO services who promise to increase your traffic, but little more. To those new to web content development, these promises sound great. After all, if you increase your traffic by 100 percent, you should increase your sales by an equal amount. It seems like an ideal situation. It couldn’t be farther than the truth. An SEO service that promises a dramatic increase in web traffic but can’t supply proven strategy on how to accomplish the projected growth may be involved in unsavory practices such as keyword stuffing or stringing. In the earlier days of the internet, keyword stuffing was acceptable but annoying to the average searcher. In an effort to protect consumers from misleading content, Google changed their analytics and now penalizes web pages if they engage in anything that could be construed as manipulative keyword use. As this article published by Forbes explains, these penalties actually have the opposite effect in the long run and will lower the overall ranking of your website. This doesn’t mean that a reputable SEO company can’t achieve positive gains for your traffic in a reputable and reliable way. In many cases, a professional company can help you achieve your goals. It just means to always ask for the company strategy, techniques and production standards. If you’re approached by an SEO company who can’t supply these, it’s probably best to keep looking. If you’re searching for a reputable company for copywriting or SEO management, visit our site at Copywritertoday.net. We pride ourselves on providing high-quality content that helps move your web rankings in a reputable, sustainable way.